Hotels are sacred places for escapism and indulgence and I won’t hear anybody say otherwise. They should always be fancier than home and this is a hill I’m willing to die on. So when the ante really needs to be upped, who better to kit out resort interiors than those experts of extravagance and style themselves, fashion designers? Sartorial savants are turning their hands to hospitality like it's going out of, well, fashion. And this bunch are all almost rudely reachable from Birmingham. Camper shoes are super fun and informal and their Barca haunt follows the same joy-inducing ethos. The brand colours of blood red and white make up the hotel colour palette, mixed in with wood, linen and concrete for a utilitarian kind of luxe. A permanently open buffet is my bestest kind of buffet, serving snacks and drinks that are totally complimentary for guests to graze on. For something a bit more up-market, in-house dos palillos restaurant combines tapas with Japanese cuisine. Oh and it’s had a Michelin star since 2013, so maybe go easy on the snacks. Muji have been taking their simple aesthetic far beyond our lil New St outpost. Previously dabbling in prefab housing, they’re now turning to hospitality. It works because Muji's whole thang is about a lifestyle as much as anything else. Rooms are, unsurprisingly, in their staple natural colours and materials. There’s a book lounge with over 8,000 texts and Muji Diner serves local food on Mujicrocks, overlooking Tiananmen Square. 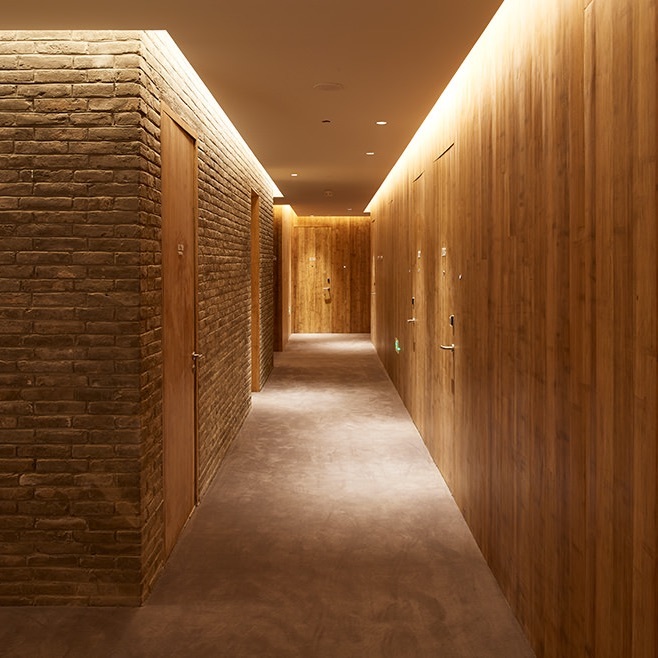 Pared-back design and a brand-less environment make for a calming, meditative space, the perfect antidote to the Beijing bustle. Oscar de la Renta was all about colourful, elegant, glamour, so his luxury hotel in his native Dominican Republic wasn’t ever going to be any different. 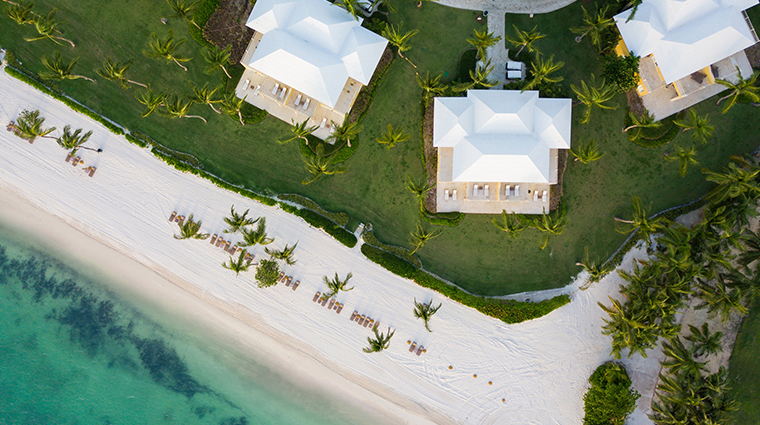 The 15 beachfront villas are traditionally but brightly decorated in canary yellow and coral. While this isn’t the forefront of interiors innovation, it's that classic kinda luxury that comes across as friendly and not at all snobby. If you get bored of lounging by the pool, there's an OdlR boutique on site, as well as a spa, watersports and tennis. The name Bulgari is synonymous with big watches and bling, so you’d think their Dubai lodgings would be blindingly flashy, right? Wrong. Their UAE spot is a welcome relief to the ubiquitous skyscrapers and bigger-is-better mentality. The building itself is inspired by low-rise Italian villages and inside the vintage and nautical nods to its seafront location feel homely rather than hedonistic. But before you forget you're in Dubai, there's always the villa option with private pool and butler service. 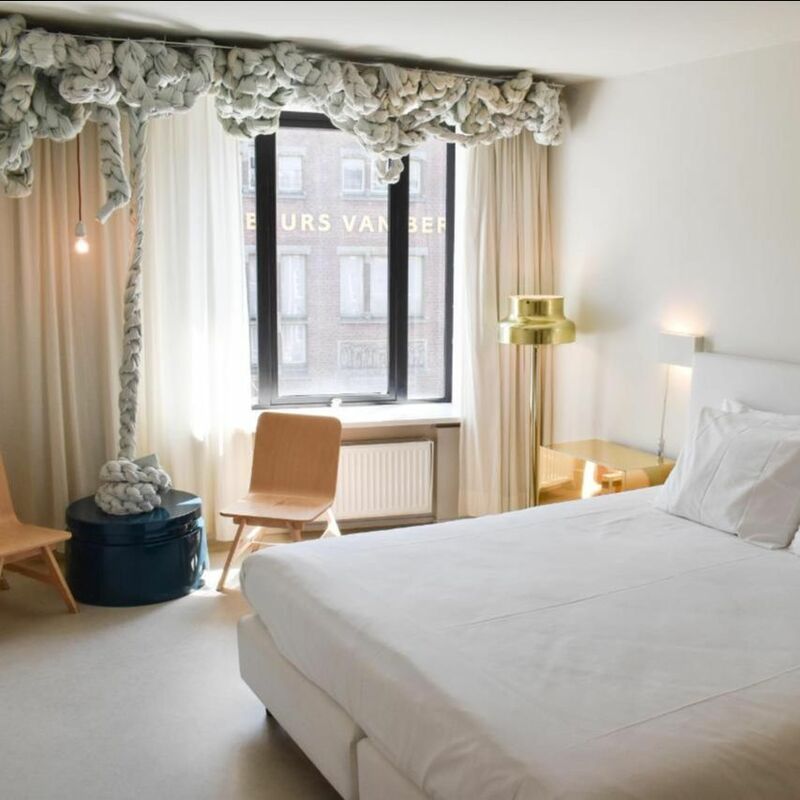 Named after the stock exchange opposite, each room at Hotel The Exchangehas been transformed by recent graduates of the Amsterdam Fashion Institute. And in classic fashion student style, absolutely anything goes in each individually designed room, from a giant rendition of a Rembrandt style collar in one to another being draped in geometric fabric from the ceiling to the floor, across rainbow walls. If you need a moment away from the madness of your room, Café Stock is on the ground floor and serves breakfast all day, for even the latest of risers.